Two Catholic churches in Halifax were vandalized over Easter weekend. 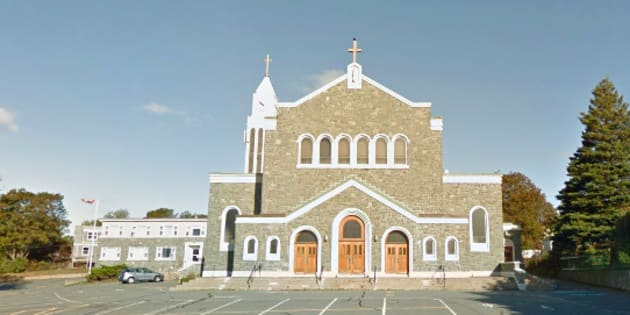 St. Agnes Church in Halifax was vandalized on Saturday night. HALIFAX — A Halifax pastor says he felt "violated" after the front doors of his parish were vandalized. "When you're the victim of crime, there is a great feeling of being violated. And that's how I felt. I felt sad, I felt angry, my head was spinning," he said in an interview Sunday. "I think it's atrocious. It's appalling that someone would desecrate any house of worship." "I said, 'I want everyone to see what was done to us. So take a look when you leave,'" he said, adding that he could forgive the person who did this if they were brought to justice. Father James Mallon of Saint Benedict tweeted a picture of the graffiti with the caption: "Someone said to me this week that Christians were not persecuted in our country. This morning we woke up to this."